Disclaimer: I have a hatred of marketing speak, a dislike for political correctness, and a love for people. This blog will definitely contain swearing— we’re Chefs after all. We love people and stories that are raw, enjoy people who are unique and firm in their belief systems, and speak in the same manner. Additionally, the fact that I am a twin and have obsessed over teamwork and leadership books, has functionally removed the pronoun “I” from my vocabulary. For the rest of this series, the word “we” will refer to myself and my twin brother Mike, or our team at Farm Field Table. If you’re confused, please check your context clues. The purpose of this blog is simple— we want to share our experiences and skills as chefs with everyone who has a desire to learn to cook better at home! If you’ve wondered how some chefs make food that blows your minds, were about to reveal the secrets. If you’d like to know how to save some money on your grocery bill AND eat more flavor dense food, we’ve got you! If you are following a specific diet and are struggling to find delicious and satisfying recipes, we’ve got you! If you want to learn more about sustainability, important aspects of local food and how and why one item tastes better than another identical item from a similar source, we’ve got you covered here too. In this series of blogs, we’re going to ask you to become highly engaged with us. To get the most out of this, it’s important that we get plenty of feedback. This is about YOU after all. 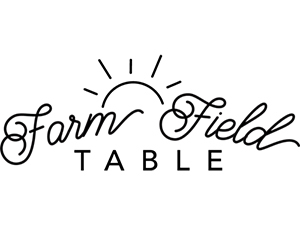 Add your comments on any blog post, message us on Facebook, or even email me personally at matt@farmfieldtable.com. No question is too silly, too difficult, or out of bounds. Last but certainly not least, please share this blog with all of your friends who may benefit from learning a few cooking skills. Humanity may depend on it. What does “cooking better” really mean? Flavor is highly subjective. We do not seek to tell you exactly WHAT to cook. We seek to share with you the WHY behind cooking and HOW to get better results. We sincerely hope that the tips and tricks that we have to offer can help you to find the best results for YOU! A couple of brief, humble brags— Our team is made up of professional chefs. We have represented some of the finest restaurants in Michigan and our own restaurant, The Mulefoot Gastropub, was ranked top 100 best restaurants in America by Opentable.com in 2014. We’ve got a Michelin starred chef, won numerous cooking competitions, hold the title of Chopped Champions, and even staged in the wolds best restaurant in 2012, restaurant NOMA. Over the years, we’ve cooked just about everything and anything you could imagine, likely many times over. Looking forward to learning from you guys. It’s exciting you all are willing to share your experience and expertise with the world! Looking forward to learning all about the spectacular world of food and deliciousness from my favorite chefs! I can’t thank you and Mike enough for your willingness to educate us. Just wrote a long comment. Am I deranged? Cannot wait to learn! A frequent visitor at the Mulefoot. Miss you two! I am an old school woman. No Facebook, etc. will read and learn. So excited. Cheers to you dear guys. Enjoy reading your blog and learning. Love the picture of the hogs head at the top of the page. Brings back memories of my grandma carrying the hogs head down the basement stairs to her wash tubs and scraping away, headcheese would soon be on the table!